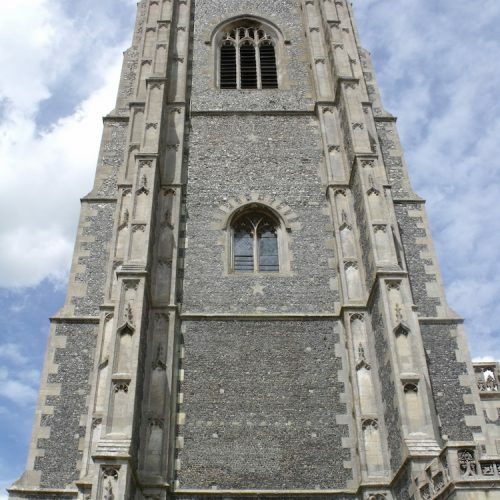 The sturdy 141 ft tower is a glorious landmark across the rolling valleys of west Suffolk as you head towards this beautiful medieval town. 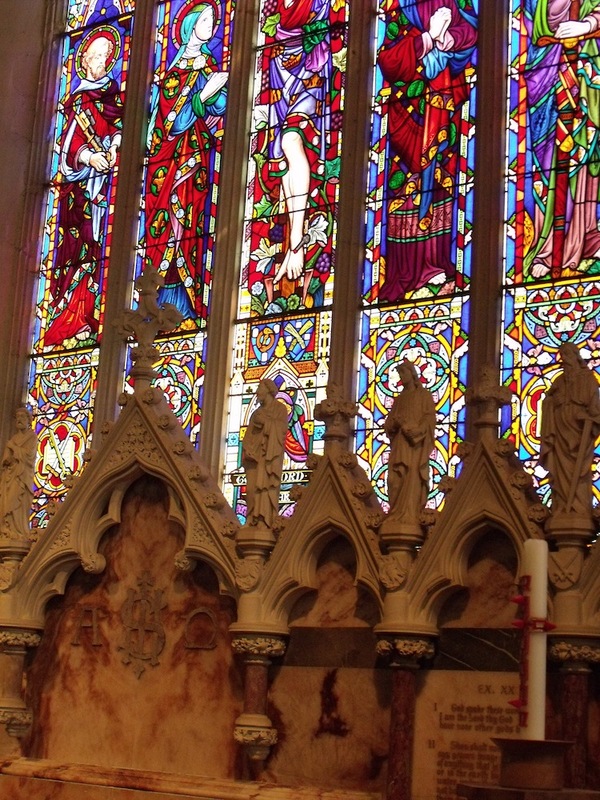 Take time to study the fabulous stonework of the exterior before venturing in to see yet more elaborate stone masonry. 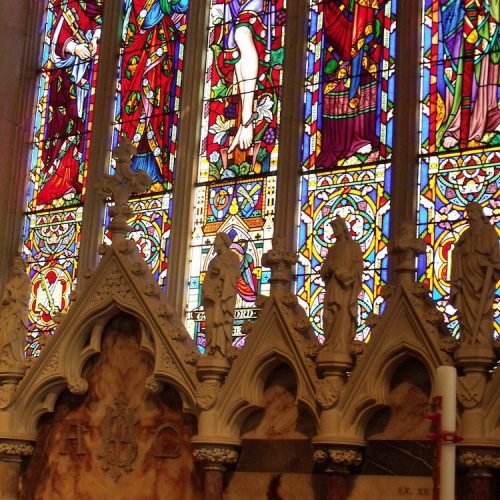 Stepping inside, the sheer scale of this church will take your breath away and you can marvel at the Spring chapel, the rich carving in screens and stalls – and the vivid colours of the Victorian glass from the 19th century restoration. 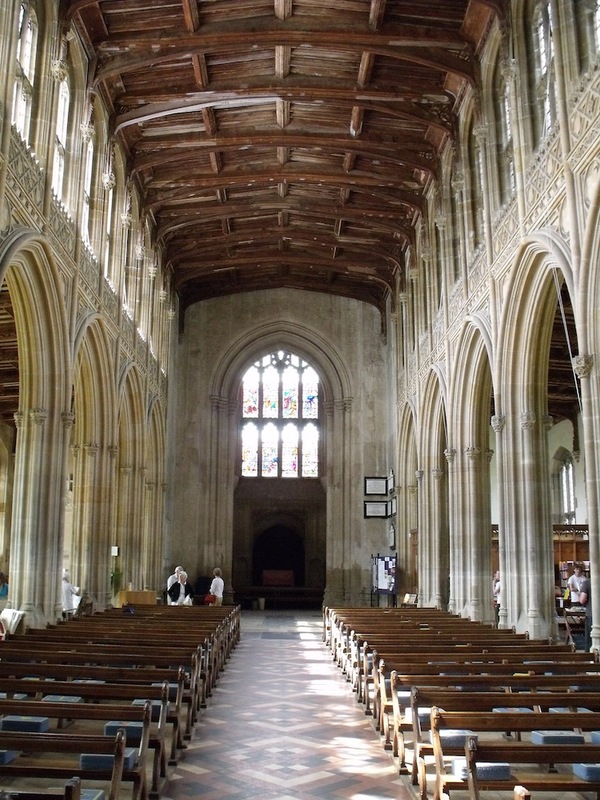 The chancel dates back to the early 14th century but the powerful de Veres, Earls of Oxford, and the wealthy clothiers of Lavenham – notably the Springs — spared no expense in building and rebuilding in the second half of the 15th century. Perpendicular was the style of the period and is shown off to perfection here. 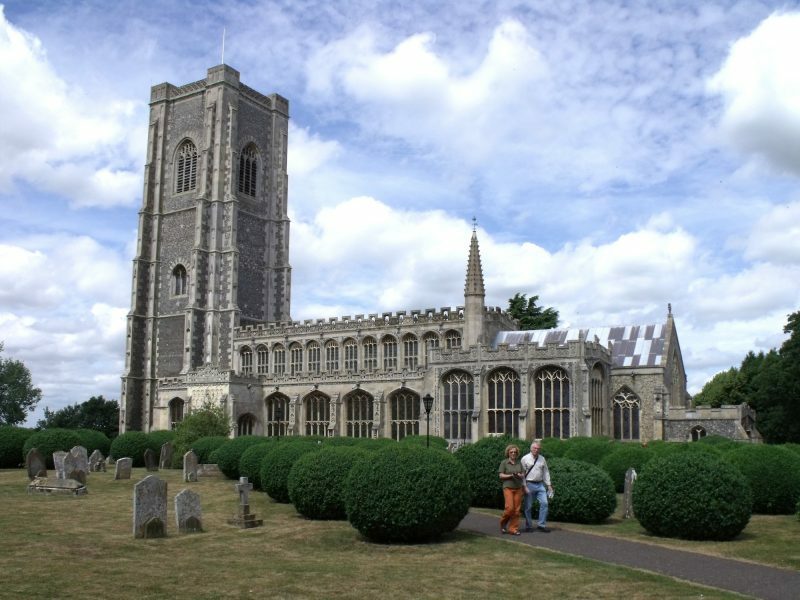 When Henry Tudor overcame Richard III at Bosworth, his Captain general John de Vere returned to his manor at Lavenham and suggested to the Springs a splendid new church as a mark of gratitude for the new dynasty. 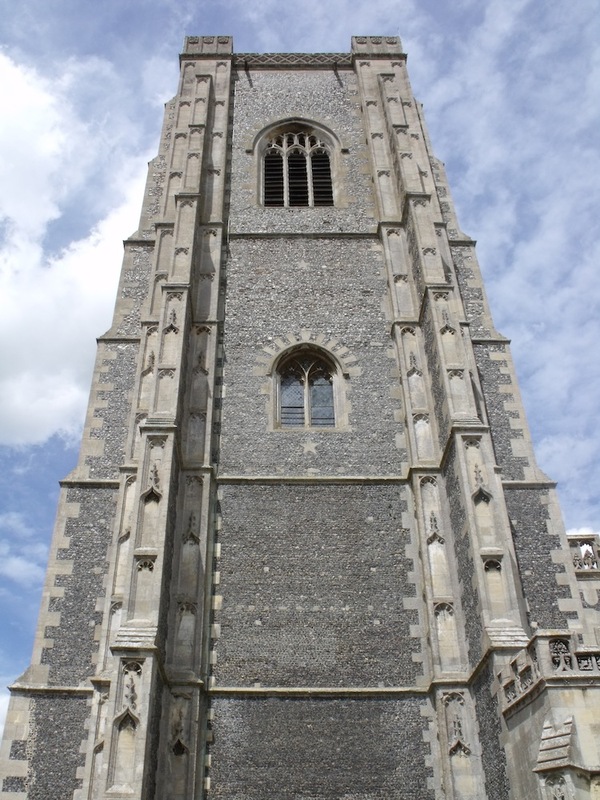 Modest they were not and you can see the boar and molet (star) of the de Veres on the south porch and repeated throughout the building, as well as the arms of Thomas Spring III more than 30 times round the parapet of the tower. 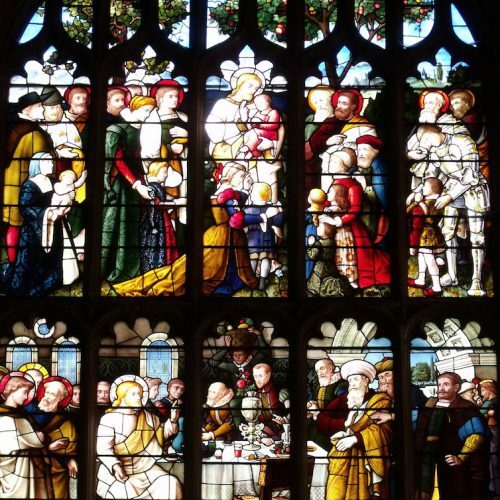 Tudor roses reflect support for Henry VII. 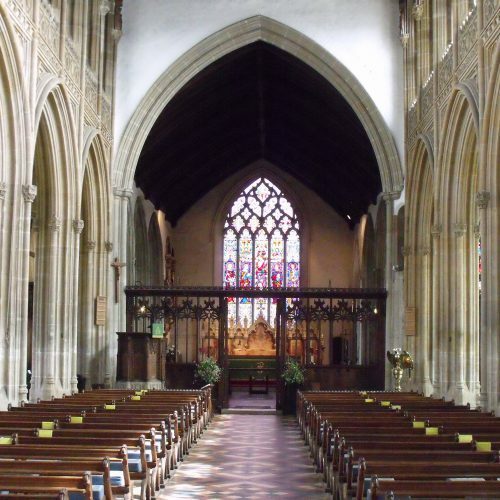 Understandably, visitors from all over the world flock to Lavenham church. Approach from the Sudbury direction to fully appreciate its soaring tower. 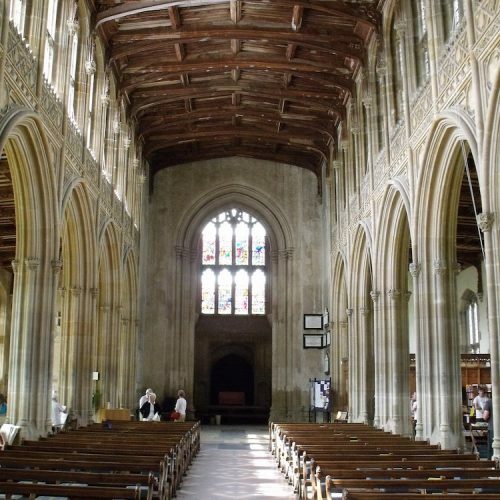 Make time to hear the bells on a Sunday morning, one of the best known rings in the world and noted for the finely tuned tenor bell. 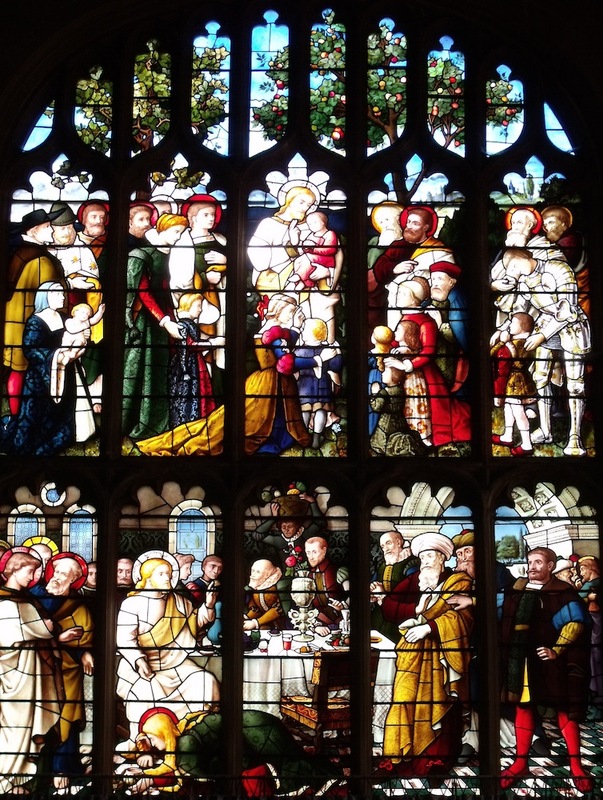 The church is open and welcoming to visitors daily and has a well-stocked shop and a good selection of second-hand books to browse through. 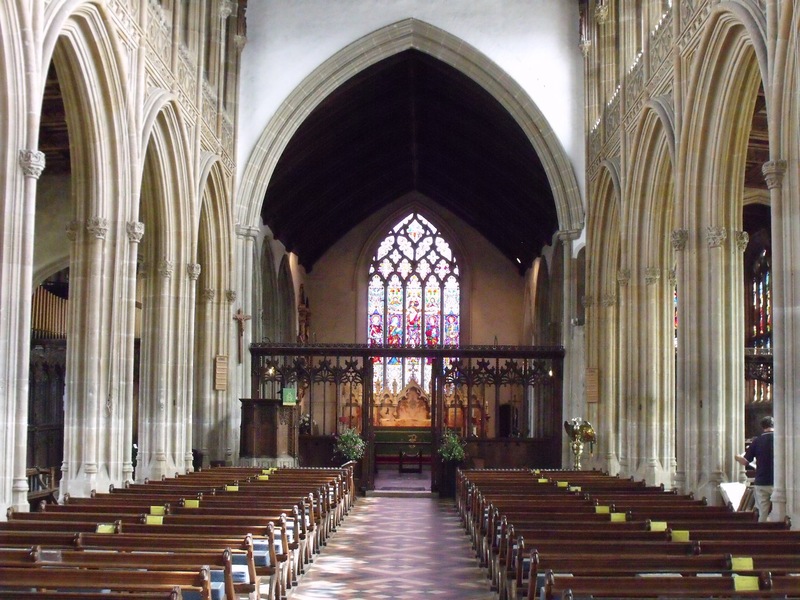 Royal visitors have made their way to this church — Queen Mary in 1928 and HRH the Prince of Wales in 1996. The village has provided the setting for many films, not least Vincent Price’s ‘Witchfinder General’, while scenes from ‘Harry Potter and the Deathly Hallows’ were shot there. You could spend the entire day in this historic little town with its medieval architecture and stunning Guildhall of Corpus Christi. 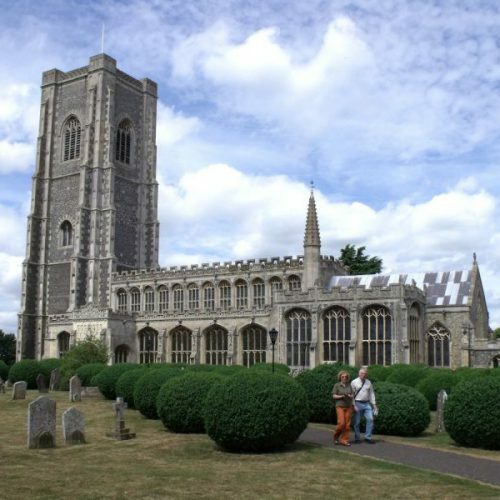 The Suffolk Threads Heritage Trail will take you to the major places of interest.